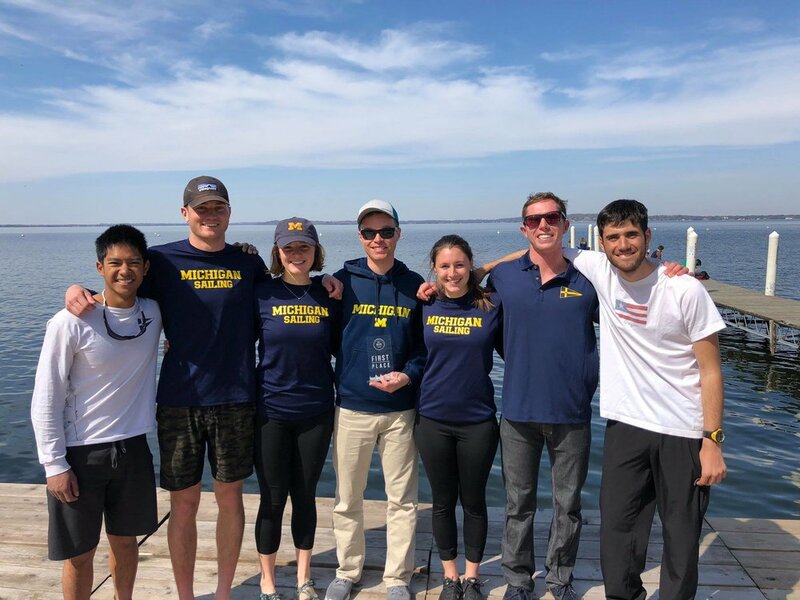 Michigan Sailing wins MCSA Team Race Championship! We sent 7 sailors to the University of Wisconsin - Madison to compete in the MCSA Team Race Qualifier Regatta. Saturday started out with glassy water on Lake Mendota, so the sailors were postponed for until around noon, when they finally hit the water. The Wolverines went undefeated through the first day, where 3 races were completed of the first round-robin. With a win against Wisconsin, Milwaukee, and Minnesota under their belt, the team left Saturday ready for what Sunday had to bring - hopefully more wind. Unfortunately, upon arrival to the lake sunday, there was no wind. The teams were eventually able to complete the round robin, and one full Top Four. Michigan's final record was 7 wins, 1 loss, taking home First Place overall. Our first place finish has given us a berth to ICSA Team Race Nationals where we will represent the MCSA alongside Wisconsin.